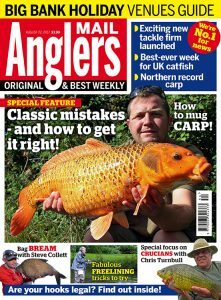 ANGLER'S MAIL magazine this week gets you set for the Bank Holiday weekend and brings you exclusives galore. 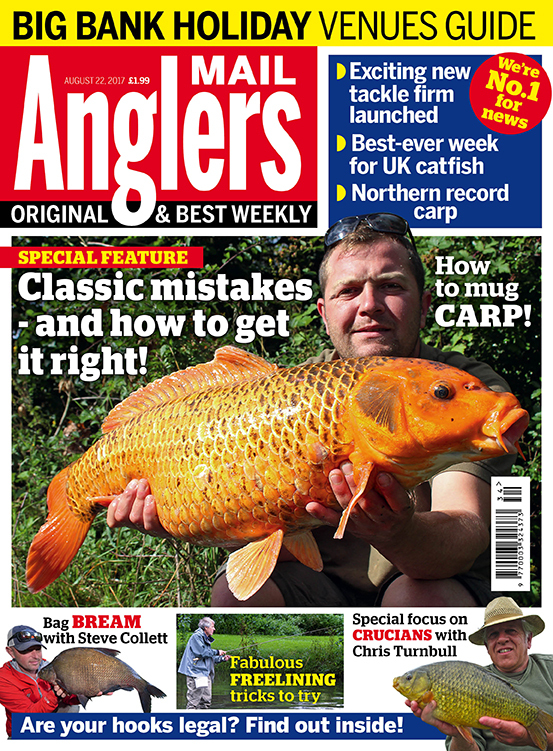 There’s a Special Feature in the magazine this week: Classic mistakes – and how to get it right! Carp and general coarse coach Ian Gemson is your guide, with lots of top tips. It’s been the best-ever week for UK catfish, and the Mail rounds up the action on this species and many more, with exclusive reports. Cover star Jamie Londors, Dave Coster, Andy Browne, Dr Ian Welch & more!